After seed has been shed, the tall dead stems can remain standing for several months. 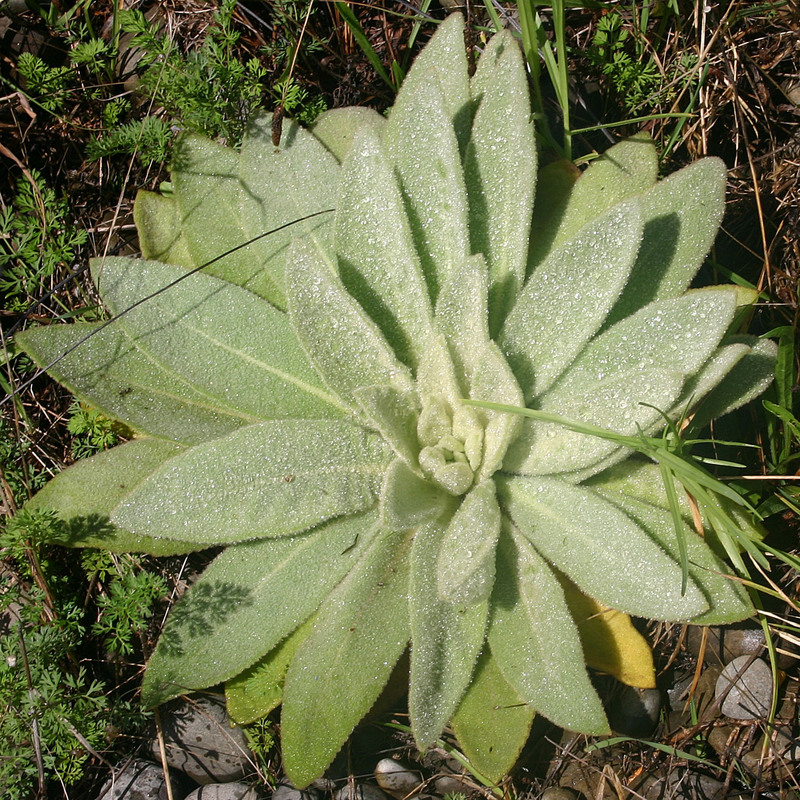 Verbascum blattaria (white mullein) is similar to woolly mullein but is less woolly and has white flowers. It is mostly found in the Auckland area but has also been found as far north as Mangonui and occasionally as far south as the Wairarapa. 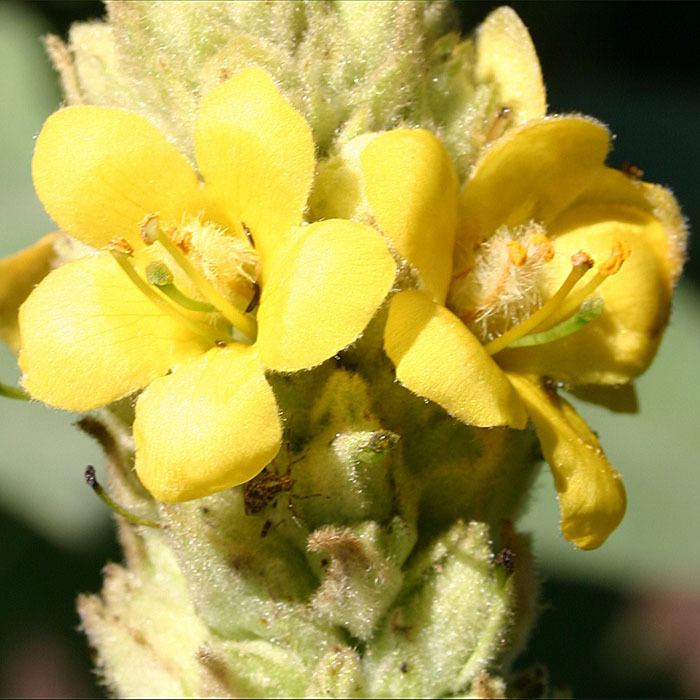 It was first recorded in this country in 1864, probably introduced as a garden plant. 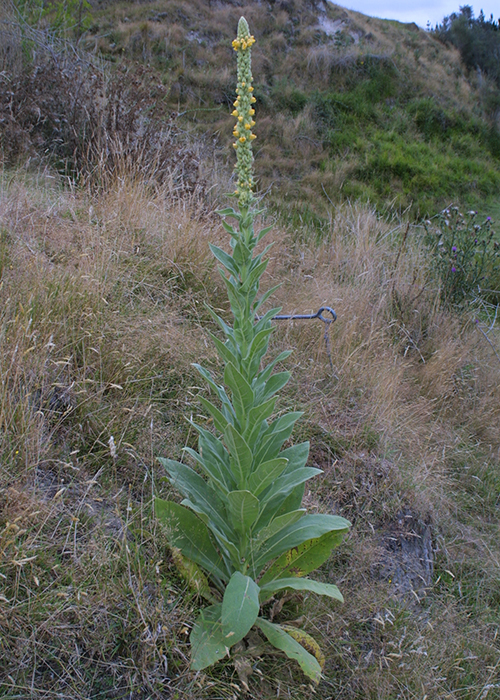 Flower stalks die after flowering but the dry stalks can remain standing for months. 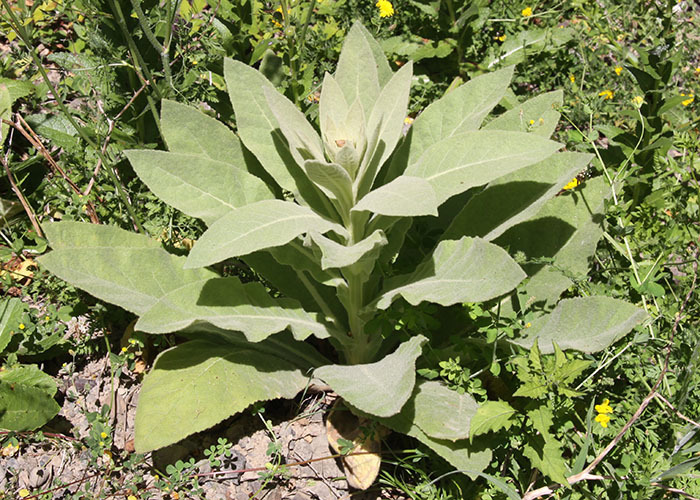 Historically plant material was used medicinally as a cure for gout, toothache, warts, diarrhoea, stomach cramps, chest pains, coughs and asthma. In poorly maintained pasture, they could replace more useful species. 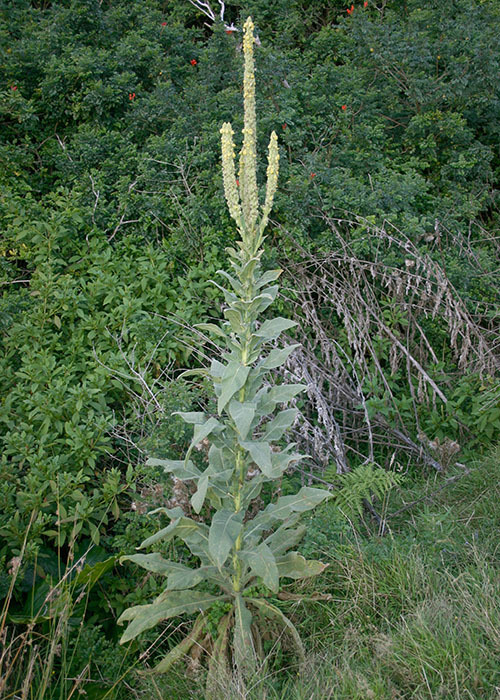 Woolly mullein is avoided by stock (it would be like eating carpet!) but is said to irritate animals that try it. 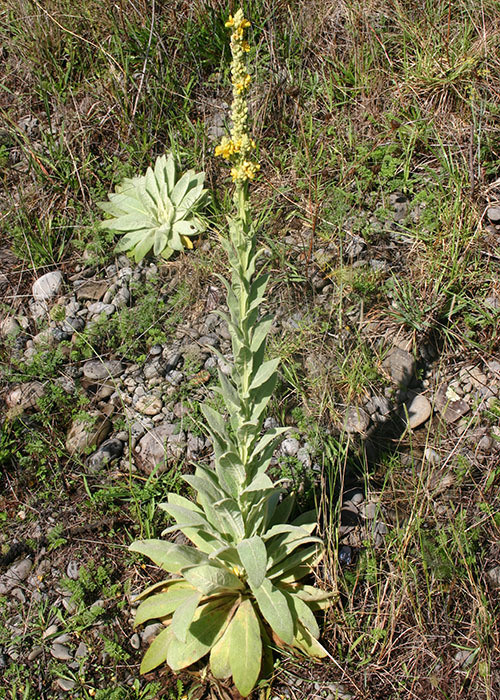 Chemical control of woolly mullein is rarely warranted as it tends to grow in poor pasture and along roadsides. 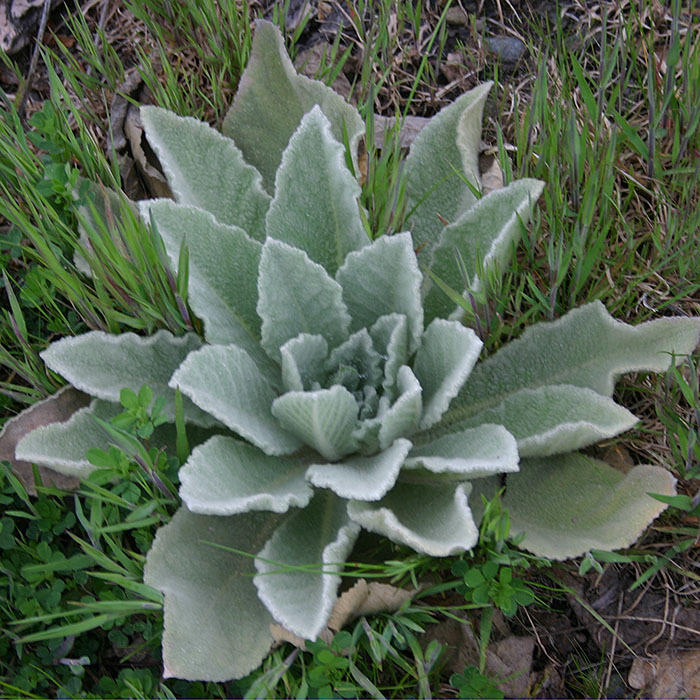 In the unlikely event that chemical control is warranted, woolly mullein is susceptible to triclopyr/aminopyralid (Tordon® Pastureboss) and to glyphosate but the latter will also destroy any nearby green plants of any kind. Parsons WT, Cuthbertson EG 1992. Noxious weeds of Australia. Inkata Press, Melbourne and Sydney. 692 p.